Housing & Hospitality staff play an important role in our efforts to become more sustainable; but in order for staff to be champions of those efforts they must have the knowledge and tools. New staff participate in an onboarding orientation session to learn about what sustainability means, why it’s important in Housing & Hospitality Services, initiatives we promote, and what they can do within their own departments. The session concludes with a waste sorting exercise. Make your office a “green office” with UCLA’s Green Office Certification. UCLA has partnered with the City of Los Angeles to certify offices using the City of LA Green Business Program. By achieving this certification you will be saving energy and helping UCLA get closer to its sustainable goals. 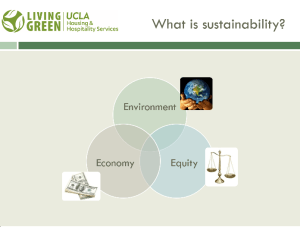 Housing & Hospitality Services aligns its purchases with campus-wide purchasing standards for green products. These resources below provide buying recommendations for purchasers in our departments. The Forest Stewardship Council (FSC) standards represent the world’s strongest system for guiding forest management toward sustainable outcomes. Buying furniture with FSC certified wood helps ensure that the wood used for the furniture was produced in a sustainable way. You don’t have to harm the environment in order to keep your office clean. There are many environmentally friendly cleaners. 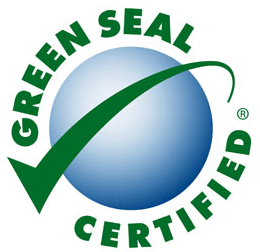 Green Seal is a non-profit organization devoted to environmental standard setting and certification. There mission is to work towards environmental sustainability by identifying and promoting environmentally responsible products, purchasing, and production. Click here to learn more about Green Seal and their certification process. Check out these Green Seal Certified Cleaning Products. There are hundreds of office products offered on Bruinbuy that have recycled content. Check out our top-picks list of Green Office Supplies from Office Max via Bruinbuy. All these products meet the Environmental Protection Agency’s Comprehensive Procurement Guidelines (CPG). If you need disposable plates, cups, and cutlery for various office events choose products that when disposed of have a lower impact. 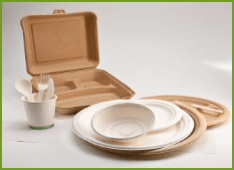 Compostable plates, cups, and cutlery are generally made from renewable resources such as corn or potatoes. If you chose plastic, make sure it is recyclable and is made from recyclable material. ENERGY STAR certified equipment uses less energy when in operation and when turned off. Replace old computers and appliances with ENERGY STAR certified equipment. 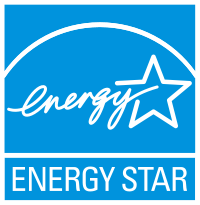 Learn more about ENERGY STAR here.